Tisza Corner Hotel Szeged, Hotel Hungary. Limited Time Offer! Tisza Corner Hotel. "Tisza Corner Hotel" has received 1 star. It is perfect for visiting Szeged. A total of 39 bedrooms is featured. Thanks to the relieving air conditioning, the temperature is never too high. For visitors who fancy taking part in sporting activities, the hotel offers multiple options, such as golf, tennis and bowling. The onsite restaurant serves visitors a tasty dinner. If you would like to share your experiences instantly, there is Internet access available free of charge. 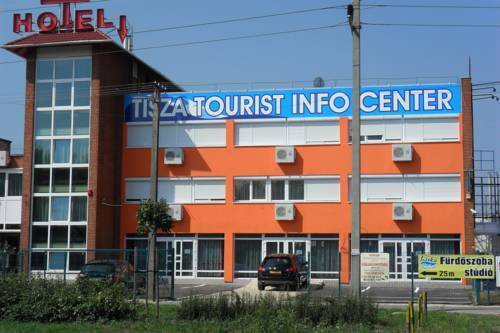 Tisza Corner Hotel’ cosy rooms are simply furnished and have air conditioning, satellite TV and a private bathroom. Shops and restaurants can be visited in Szeged city centre a 10-minute drive away.